Laundry can be such a mundane chore. It's boring, takes a lot of time and it seems to never end. The baskets are heavy and awkward to carry and it's just no fun at all. I've found something that helps ease the hip carry of those crazy baskets. Check out this easy to use Fragrantt Double Laundry Basket I found on Amazon. 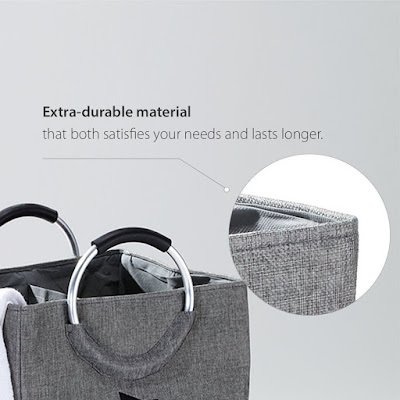 Not only does it look sleek but it has easy grip handles for better carry, a built-in divider to separate your clothes and it's travel-friendly too! The Fragrantt Double Laundry Basket is designed to withstand the heaviest of clothes so you don't have to worry about it falling apart while taking it to the washer. 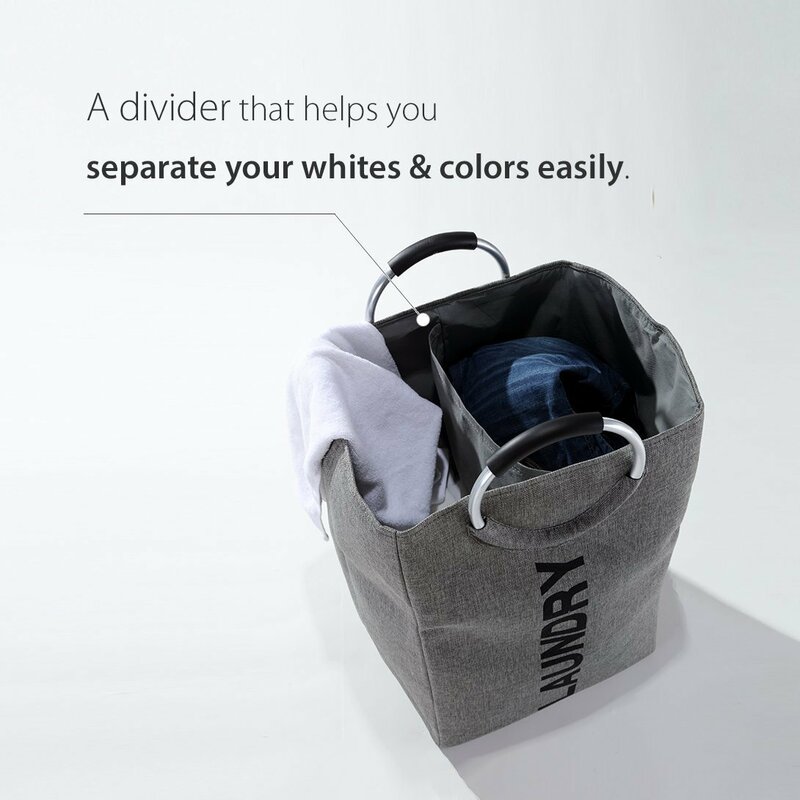 It has a built-in divider to easily separate your colors from your whites. It's also lightweight and foldable so you can take it with you when you travel as well. The Fragrantt Double laundry basket is the perfect item to help ease that laundry day blues. 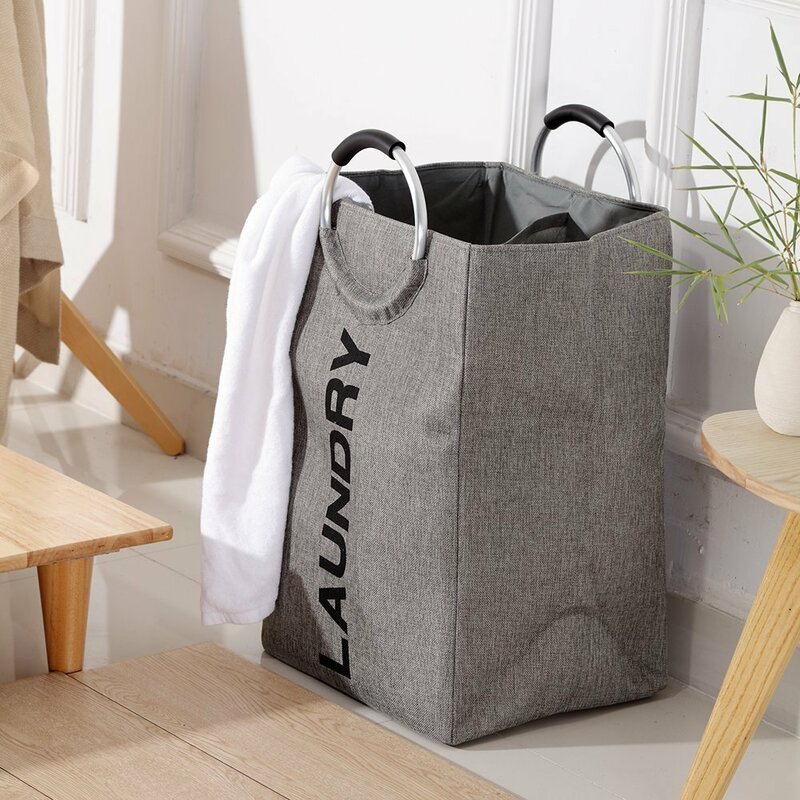 The laundry basket normally retails for $19.95 but if you use code dealym96 at checkout, you'll get this amazing laundry basket for just $6.99. Hurry because this deal won't last long! For the first time ever, our beloved animated show will premier on the big screen! Teen Titans GO! to the Movies! is set for release on July 27, 2018. Our favorite group of Super Heroes, led by de facto leader Robin, are headed to Hollywood. Why?! Because Robin wondered why all the other superheroes should star in their own movie and not the Teen Titans? So off to Tinsel Town they go! But what would a super hero movie be if there wasn't a seriously Super-Villain to put a wrench in the Teen Titans plan? When this super villain decides to take over the earth, the team cannot let that happen! So they put their dream on hold to deal with the situation! If your families routine is anything like mine, life can get pretty hectic. You just get off work and have to rush to get dinner prepared before soccer, football or ballet practice. There's just no time to get it all done. As you rush out the door to the next meeting, it may seem ideal to just stop at the local fast food restaurant and BAM...another unhealthy meal on the go. For our family, unhealthy is not an option. Meal planning is one of the best decisions we ever made. When deciding our meal plan, we not only want our meals to taste good but we also want something that's healthy and can be prepped pretty quickly. No one wants to come home after a long day and spend hours in the kitchen making supper. 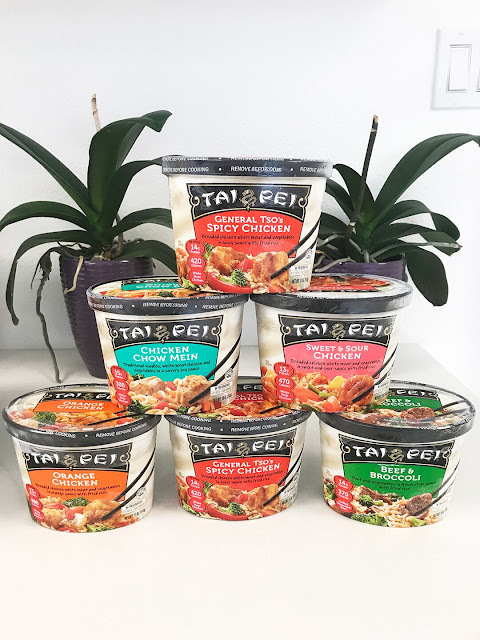 Spend less time in the kitchen and more time with the family by adding Tai Pei Entrees into your meal plan. Adding in a few of your own ingredients you can make a meal that will satisfy even the pickiest of eaters. 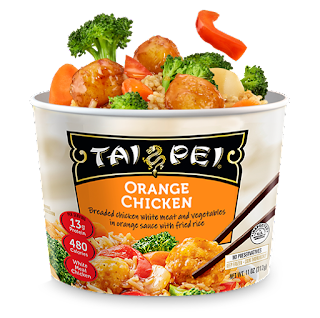 Tai Pei Entrees have healthy ingredients with no added preservatives, artificial flavors or colors and can be ready in just minutes instead of hours. All of the Tai Pei Entrees have unique flavors made with flavor-infused rice and signature sauces. The packages are portioned perfectly and with all the different varieties to choose from, you can plan something delicious every day of the week. Tai Pei is definitely my idea of Monday Motivation. All their products have clean ingredients so you know you are feeding your family something healthy. The bonus...Tai Pei is delicious! 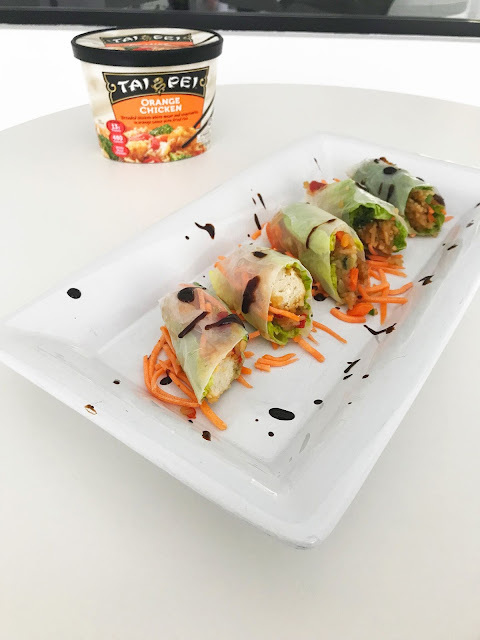 Wrap your favorite Tai Pei flavor in Rice flour! It's as sumptuous as it is appetizing. Makes: 3-4 servings depending on the size of each roll. (available in the Asian aisle of major grocery stores). Cooking Instructions: Soak spring rolls skin on a plate with warm water making sure that both sides are slightly damp. Lay wrapper flat, in a row across the center, lay one lettuce leaf. Add two tablespoonful of cooked orange chicken on lettuce leaving two inches uncovered on each side. Fold uncovered sides inward, then tightly roll the wrapper, beginning at the end with the lettuce. Repeat with remaining ingredients. Serve with plum sauce or soy sauce with lemon. Start your meal planning today and take back your hectic life with Tai Pei Entrees. I recently started a 6-week fitness challenge. My health as I've gotten older has really deteriorated mainly because I've just gotten lazy. I maxed out at 178 pounds, which really doesn't sound too awful until you add in that I'm only 5'3", I can barely make it upstairs in my own house and when I bend over to tie my shoes...my belly gets in the way. Pretty sad to say the least. So I took charge! I'm almost done with week 2 and I'm killing it. I have been changing a lot of what I eat and holding myself accountable. 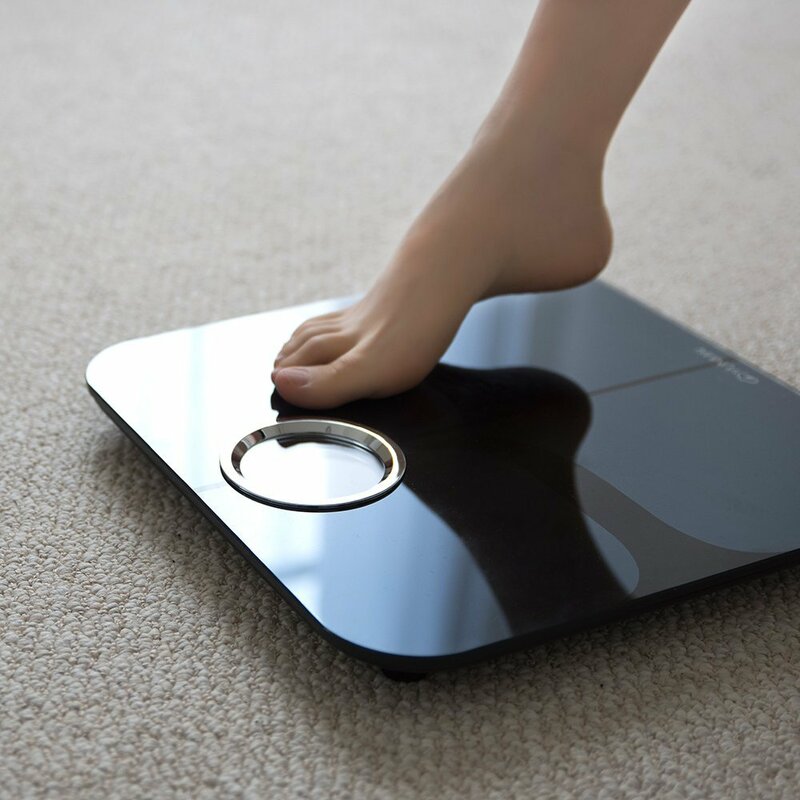 One of the items that have helped me, is the Yunmai Smart Scale. 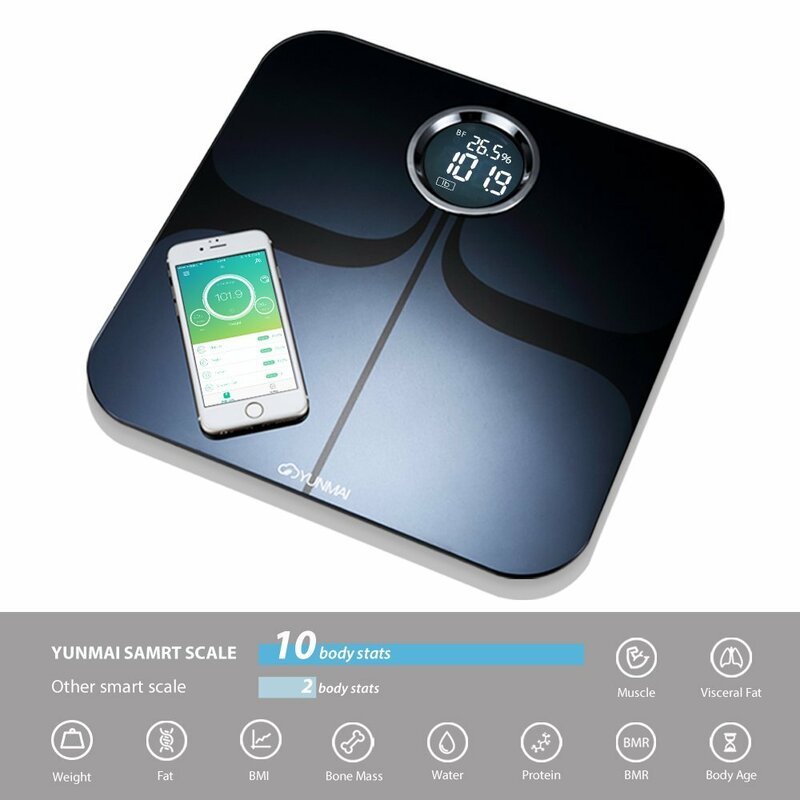 The Yunmai Smart Scale isn't your everyday run of the mill scale that just tracks your weight. It also calculates 10 body measurements. The smart scale precisely measures weight, body fat, muscle rate, water, bone mass, visceral fat, BMR, BMI protein and body age. It gets even better! You can keep track of everything right in the smartphone app that's included free with every Smart Scale purchase. You can see your progress and keep track of everything right in the palm of your hand. How is that for holding yourself accountable! So what are you waiting for? 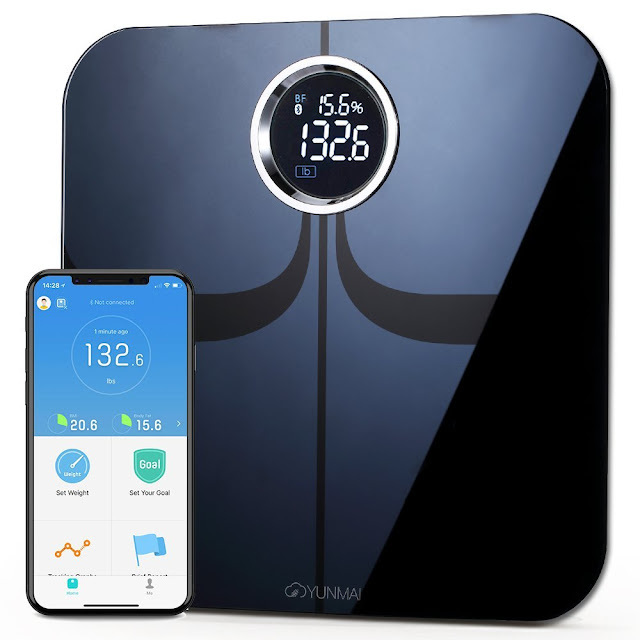 Use code dealym71 now through July 31st and receive $20 off your order of the Yunmai Smart Scale and start your journey to better health! 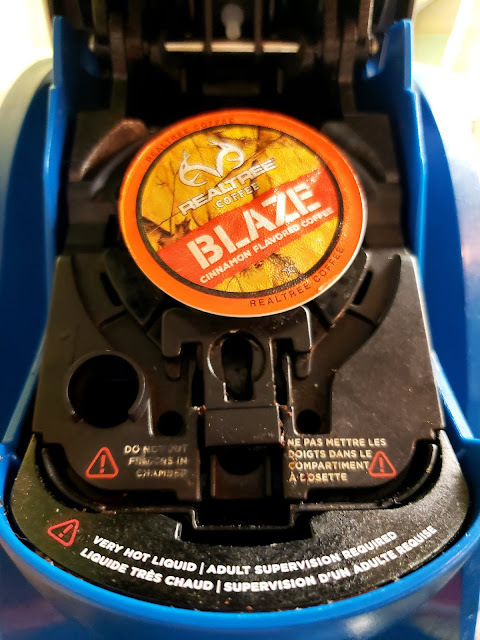 Wake up to your new favorite flavor every morning! Waking up and having that smell of freshly brewed coffee is one of my favorite things. There's just something about it that wakes my senses and gets me ready for the day. What I enjoy, even more, is having something new to try every day. A new flavor keeps my taste buds on high alert for something joyous. A way to treat me every single morning. That's why I love the Two Rivers Flavor Flavor Sampler. In the flavor Sampler, you get a combination of different flavors so you can try something new every day of the month! Imagine trying out your new favorite every day! As you can see there is a variety to choose from and everyone has a unique taste that you can definitely enjoy. I personally have not found my favorite one because all of them are delicious. I find that I am using less sugar and creamer in my daily coffee routine because it's not really needed. The coffee is bold and just flavorful enough that I don't need the extra. The coffee is very good on its own. The coffee comes in k-cup form and works well with all Keurig machines. 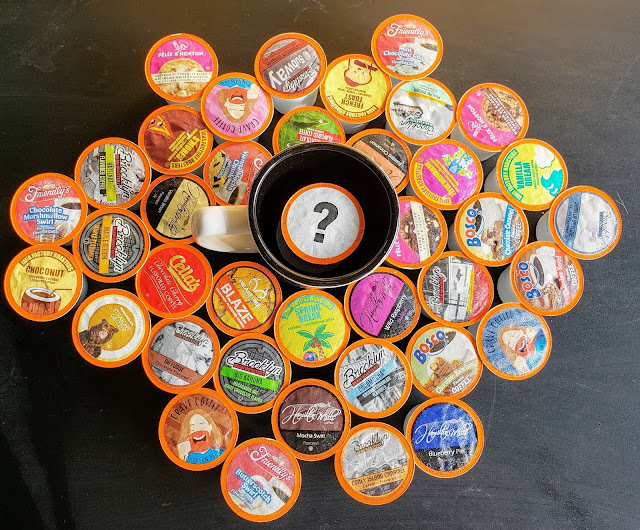 Want to win a box of Two Rivers Flavored Coffee Sampler? 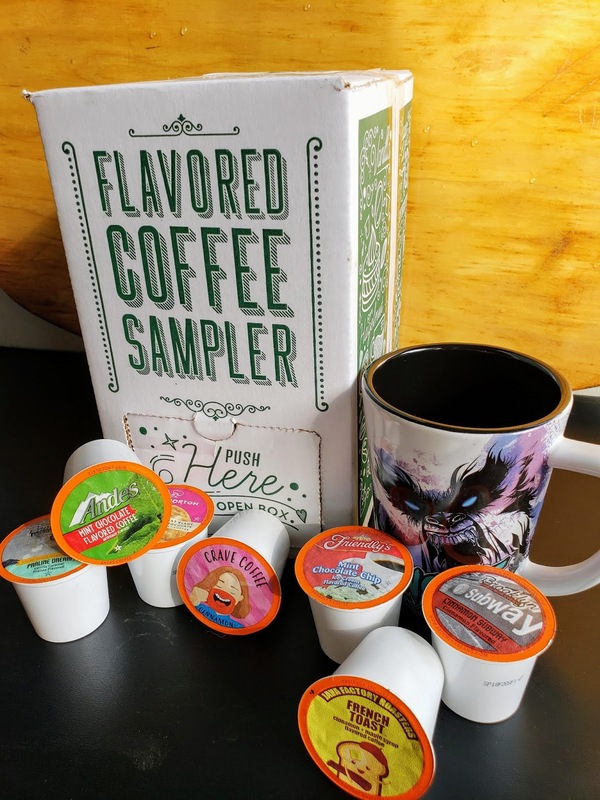 You can check out my full review of the Flavored Coffee Sampler HERE! No blog endorsing this giveaway is responsible for the awarding of this prize. With Open Eyes To See is responsible for prize fulfillment. 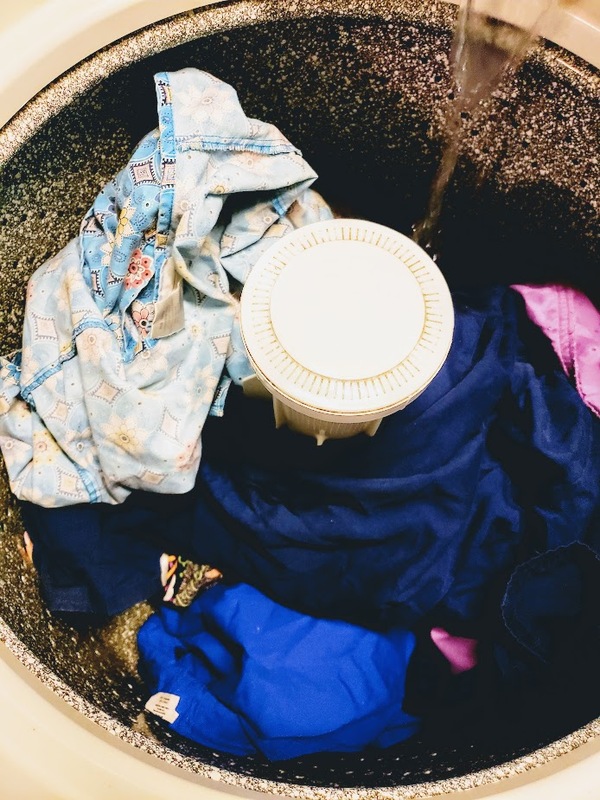 Laundry Day Pep Up...It shouldn't feel like a chore. I'm one of those people who doesn't mind doing laundry. 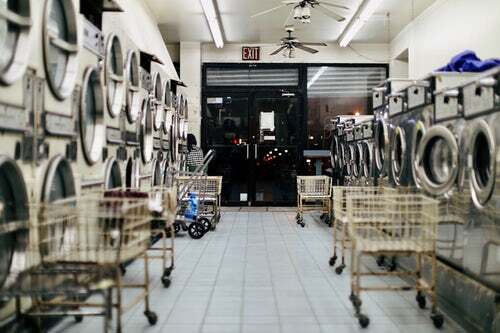 I can throw in a load of wash and carry on my day doing another household activity until it's time to switch over the load. 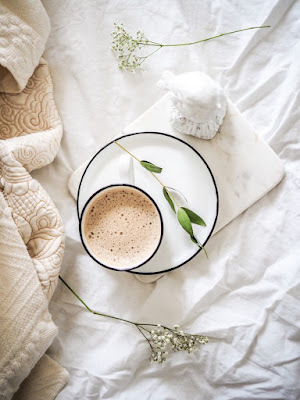 I love the way my clothes come out smelling clean and fresh and there's nothing that beats the feel of clean sheets freshly placed on my bed! The hardest part of doing laundry...well besides fighting the dryer monster and sock patrol...is finding the right laundry detergent that not only cleans well but eliminates the odors from my clothes associated with my job, and let's not forget the odors of a growing teenage boy. So let's talk about that teenager...Yikes, he can be stinky. He also comes home with things on his clothes that I'm afraid to even ask about. Let's face it when it comes to preteen and teenagers, There is nothing else like it. Their hormones are changing and everything that didn't have something going on now has an overabundance of changes. So now back to laundry. I have tried many different detergents and find that almost all of them do not clean like they promise. They leave my clothes smelling great but it's just a cover for what the real issue is, the underlying smell that gets caked into the fabrics. 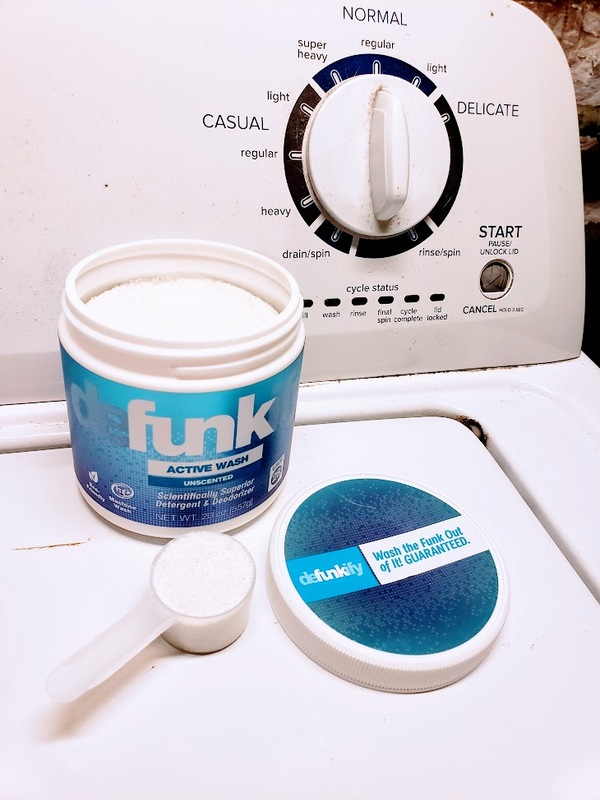 I recently had a friend tell me about Defunkify Active Wash laundry detergent and deodorizer. The company sent me a canister to try out as well as their Defunkify Active Spray for shoes and active gear. We'll chat about the Active Wash detergent first. It comes in a 40oz canister (56 loads), 20oz canister (28 loads) and single load pouches. You only have to use a scoop (which is included in the canister) and it does all the work of other detergents and then some. So you may be asking what the difference is between what you normally use and what defunkify can do. 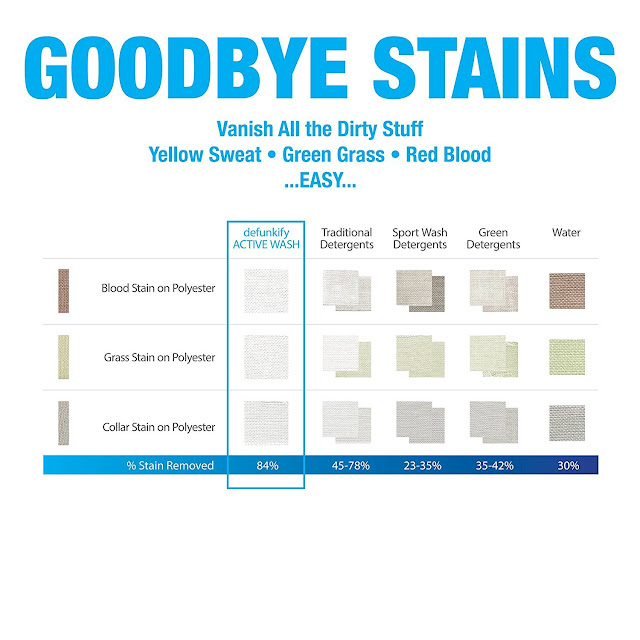 Here is a sample of what other ways of washing differ from each other. 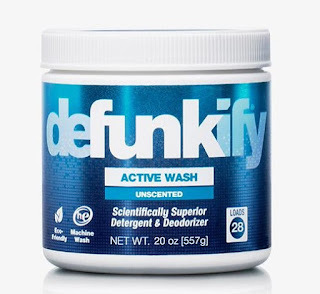 What can Defunkify wash and how does it work? GREAT FOR ALL YOUR OTHER LAUNDRY - Activewear is the toughest laundry to clean, and nothing works better than Defunkify. Try the ACTIVE WASH with your bedding, delicates, down jackets, waterproof jackets, swimwear, jeans, jerseys, socks, towels, and more. Do you know other detergents that can promise you all this? Adding the recommended amount to my laundry is super simple. Just add a scoop to laundry and add clothes. If you have stains on your clothing, it's recommended that you let it soak for a bit to help activate and then start your washer again. Not only does it clean and remove odors but the small container doesn't take up half the counter space. I know right?! Clean clothes and more space..genius. So now I can go to work and to the gym without worrying about the smells staying with me, even after I wash.
You know when it comes to growing boys...their shoes stink like sweaty nastiness that you just don't want to linger in your house. We don't have to keep his shoes outside anymore! 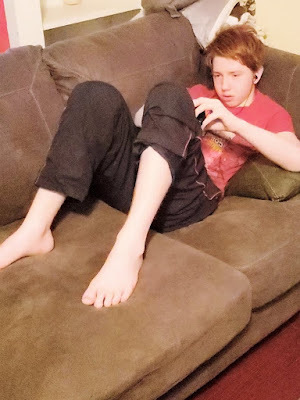 The Defunkify Active Spray keeps the odors out of my sons' shoes and keeps them fresh no matter what activity he's done! 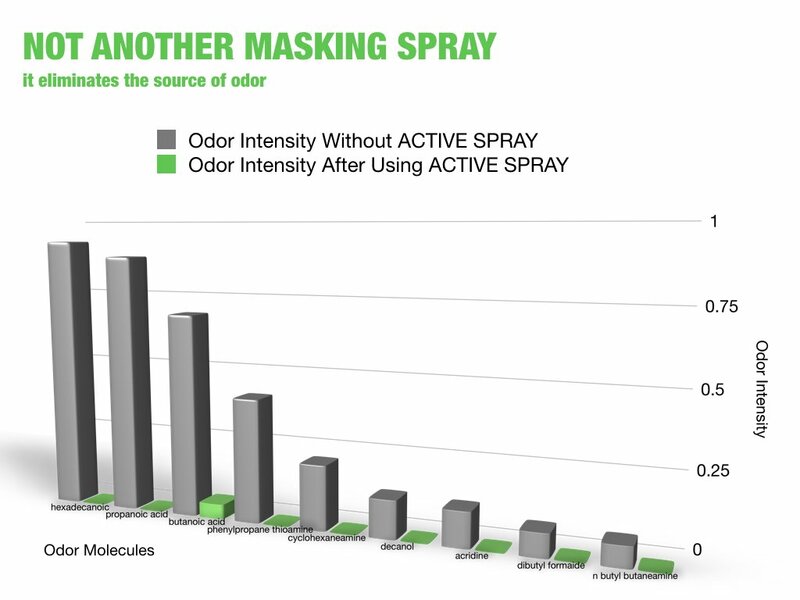 Defunkify Active Spray removes odor from athletic shoes, boots, cleats, and gear. First, high-quality Essential Oils provide instant relief. 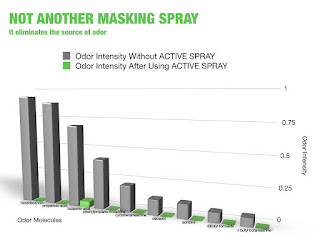 Then, Ionic Silver gets activated, actually eliminating the source of odor AND preventing it from returning. So what I like the best about the Defunkify company, is all their products are eco-friendly, it can be used with any temperature of water, any type of clothing and it's a small container. 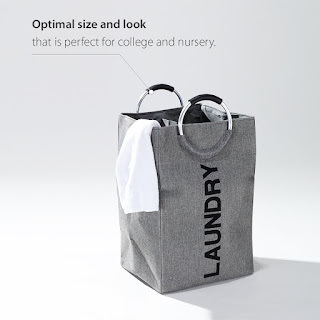 You get clean, fresh smelling clothes without taking up a lot of space. 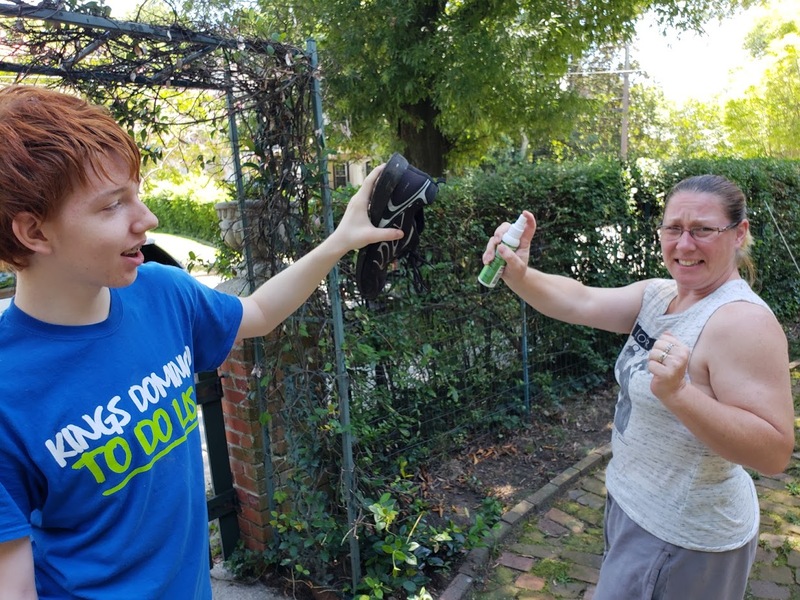 The active spray eliminates the odors from my sons' shoes and the gym bag I now carry around with me! Want to try it before you buy it? Click----> HERE to be entered for your chance to win a 20oz tub of Defunkify Active Wash and Active Spray.